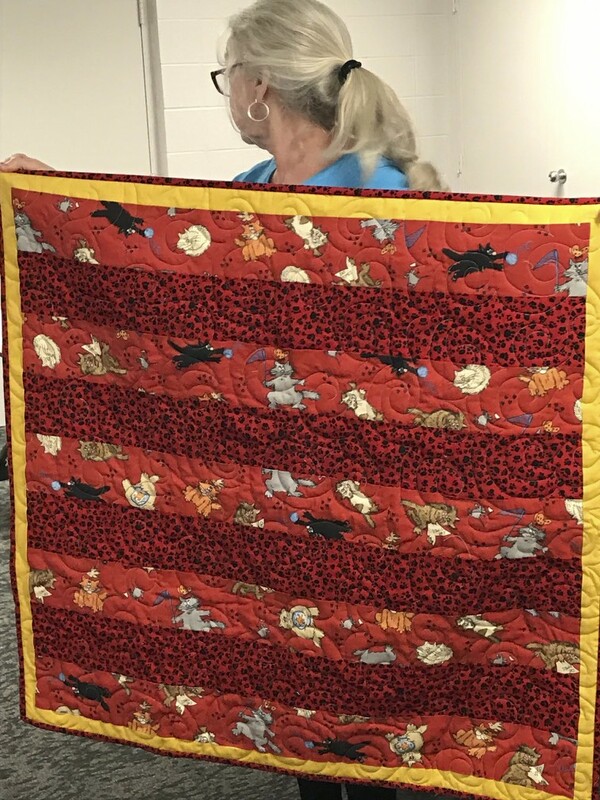 Our guest tonight was Jennifer Carter, owner of The Busy Lady Quilt Shop in Mt. Washington, Kentucky. 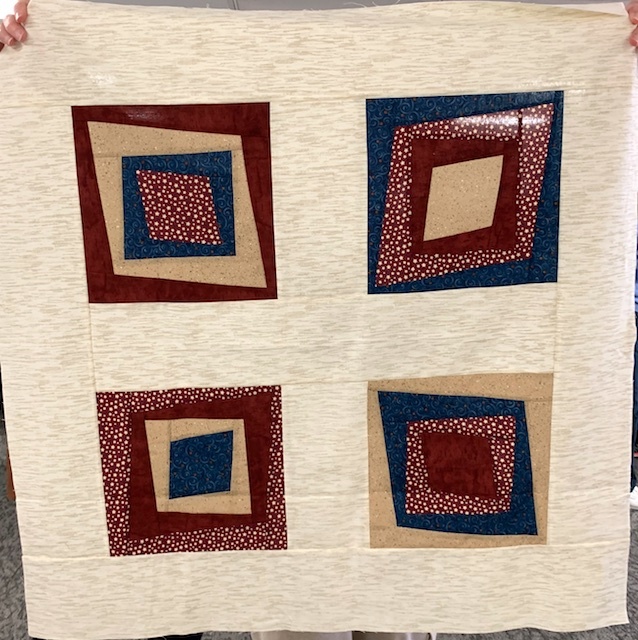 She showed us how to make a Double Wedding Ring using fusible interfacing to make the arcs – with no curved piecing! Kits are available at her shop. 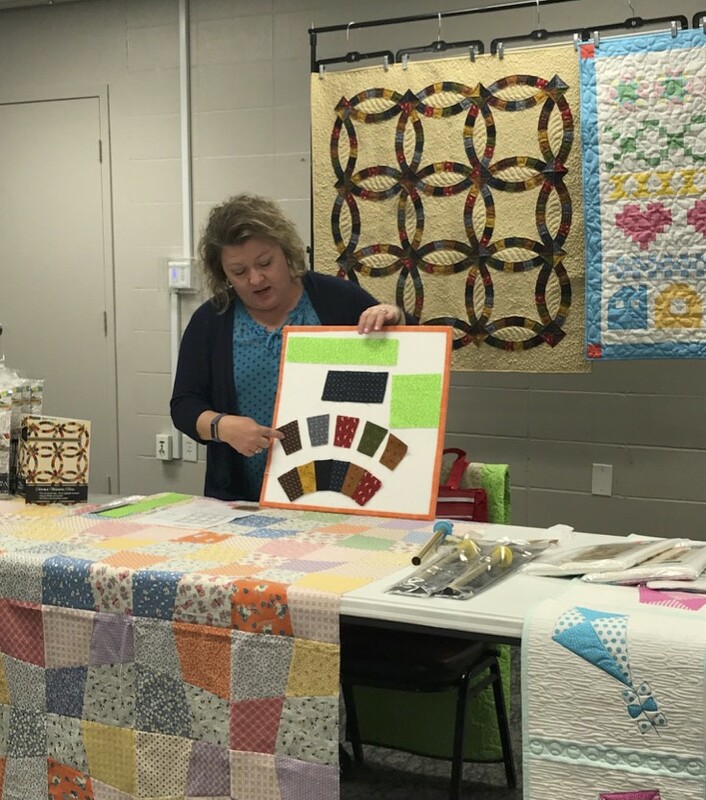 She also shared with us some new merchandise and quilting opportunities at her shop. Thanks, Jennifer! 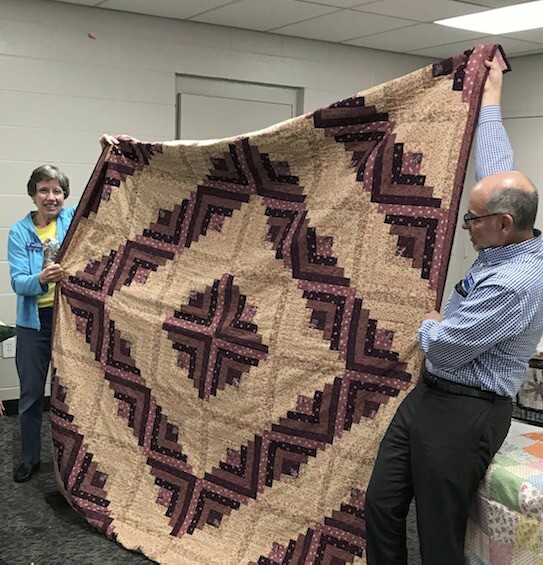 Last month Susan taught the Log Cabin Design class. 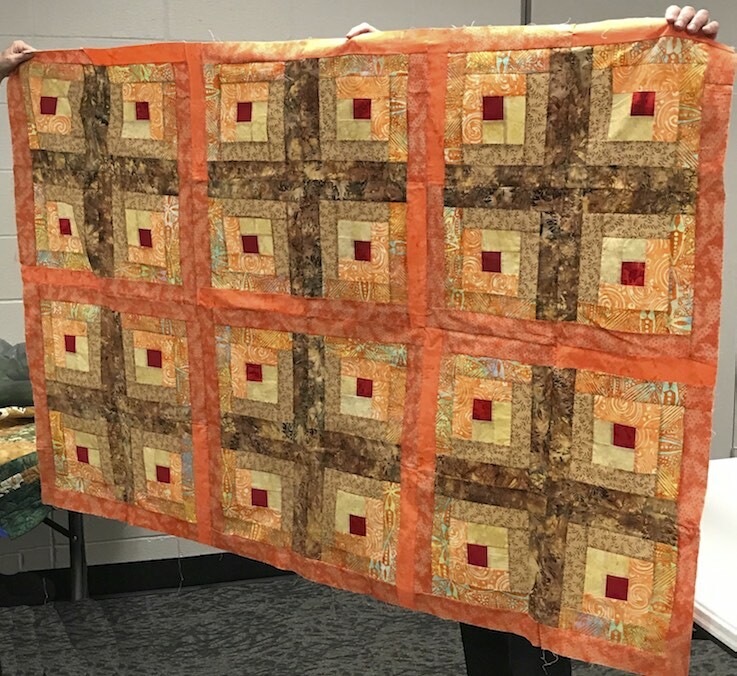 Sangeeta finished the batik quilt top she began in the class. 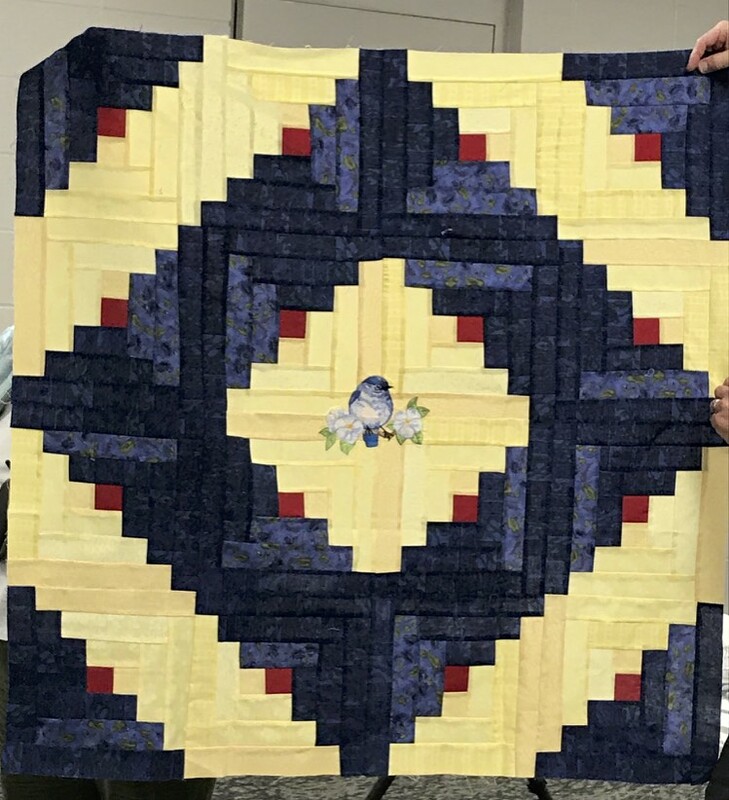 Barbara also finished her Log Cabin quilt top, using a different layout and adding an embroidered bluebird in the center. 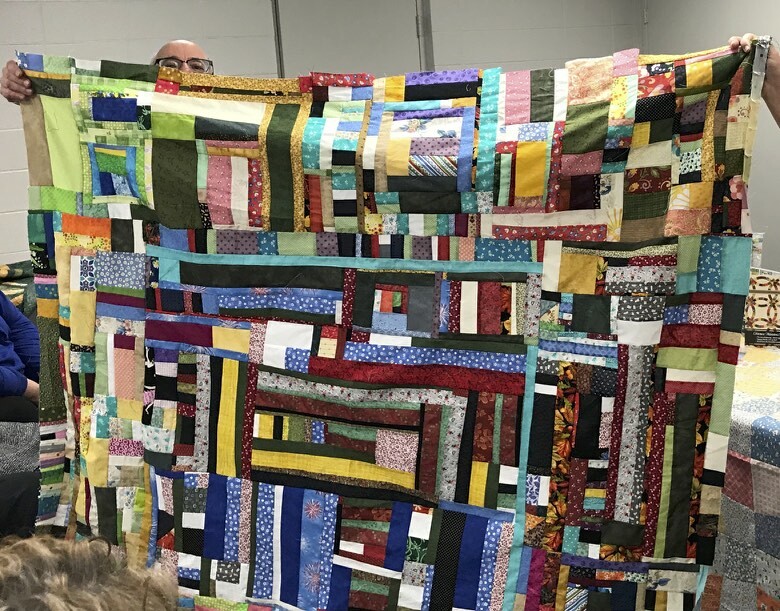 Sandy brought in a log cabin quilt she finished in the 1990’s. 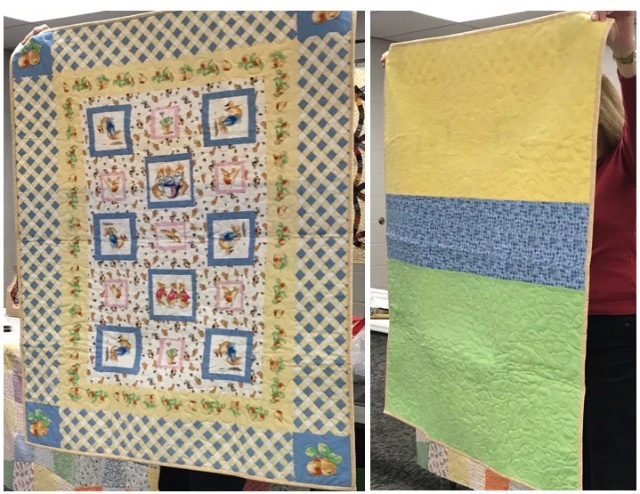 Mary has been saving even the tiniest left-over fabric pieces and adding them to her scrap quilt. 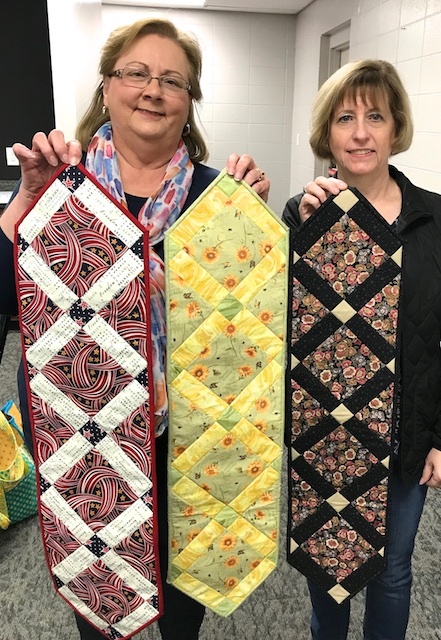 Becky and Polly brought in table runners from the class Bill recently taught. 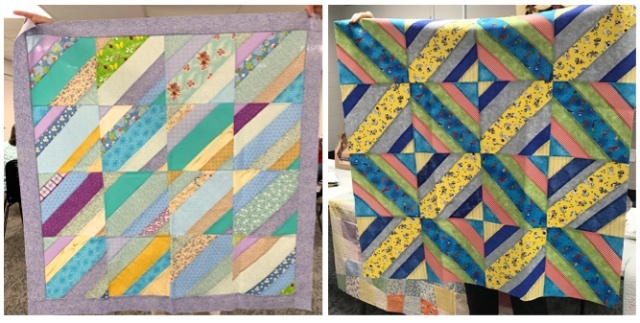 JoAnn finished a couple whole-cloth quilts with pieced backings which not only add color, but can use up some of your scraps. 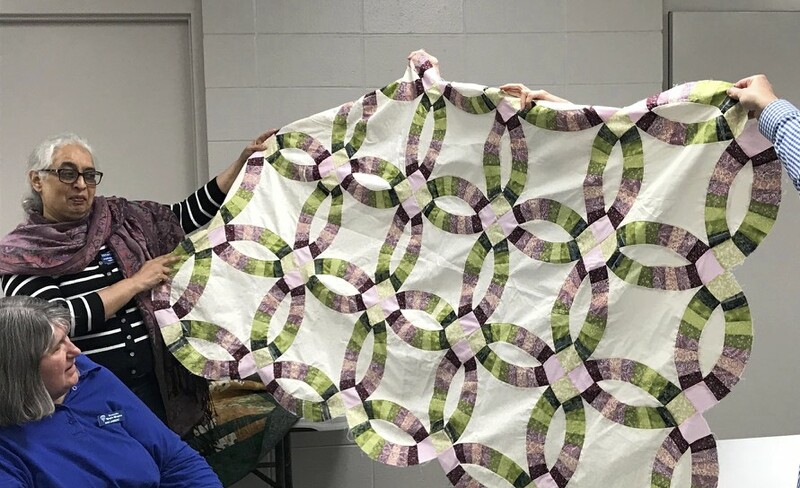 Debbie showed us how to make string quilts at a recent Cuddle Care class. They will always be popular because they are easy, fun, and quick to make, and are another way to use up scraps. 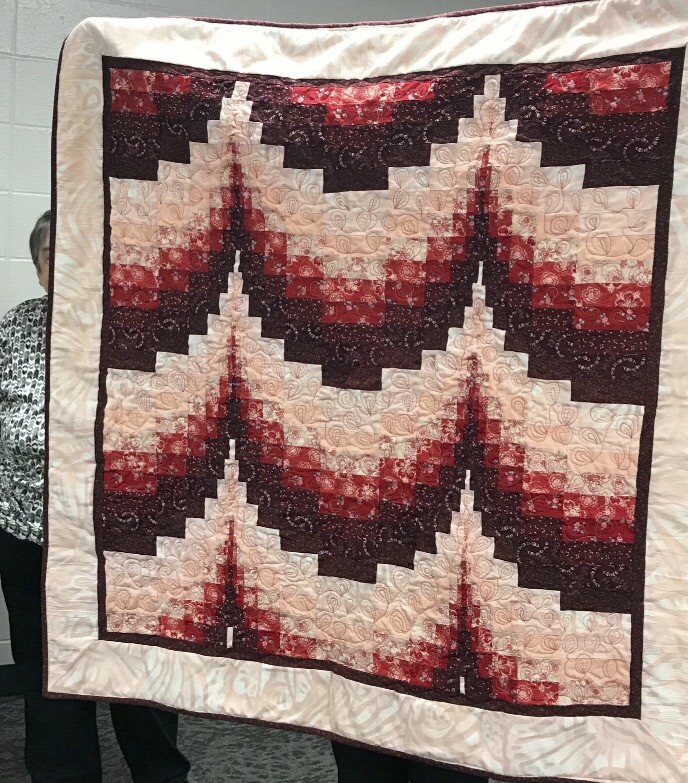 This Wonky Square quilt was made using the technique Luann taught in a recent class. 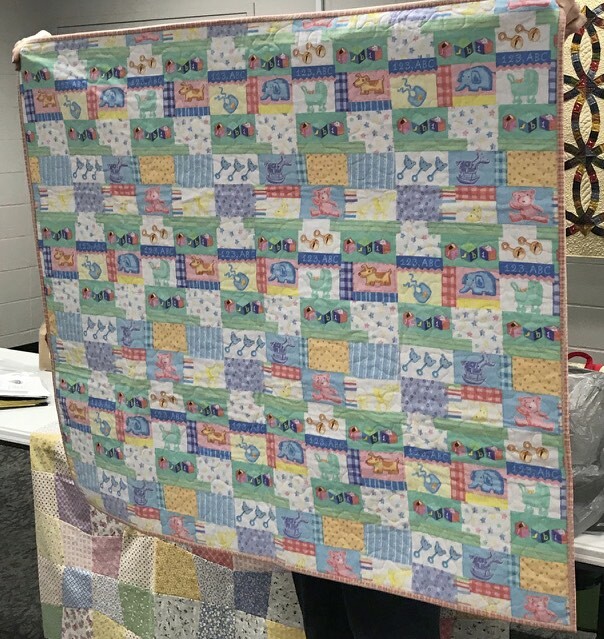 Debbie reported that so far this year she has delivered forty Cuddle Care quilts to the NICU at Norton’s Children’s Hospital. Thank you, members and Cuddle Care Committee, for your dedication!